For school year commencement, Georgetown University gave students a novel incentive to explore their new stomping grounds - a Snapchat Scavenger hunt with $100 up for grabs. Georgetown’s Snapchat team installed on-demand geo-filters at different campus locations, then challenged followers to claim the full set. A great use of Snapchat filters and a back-to-school welcome to beat. Snapchat’s ad products have come a long way recently, opening up huge opportunities for creative executions on the platform. Take, for example, Gatorade’s latest - a surprisingly good Tennis game, playable inside Snapchat. To locate the game, users simply navigated to ESPN’s Discover section, swiped through to find it, and swiped up to play it. 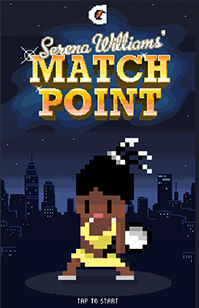 Designed with Serena Williams and complete with retro 8-bit graphics, Match Point was incredibly playable and easily the best Discover ad we’ve seen so far. Two iconic Australian ice-creams, Cornetto and Golden Gaytime, recently came together in a delicious mashup dubbed “The Gaynetto,” which took the internet by storm. For Adam Moussa, an Aussie expat in New York, the Gaynetto was sadly out of reach, so Qantas arranged a special delivery. 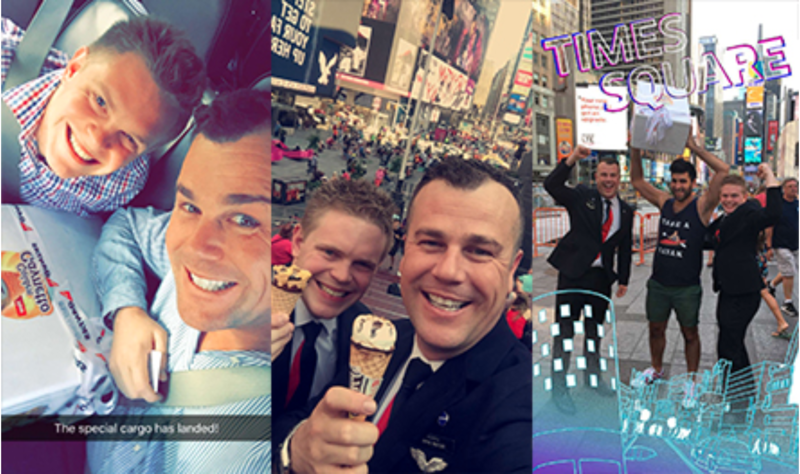 After getting in touch with a very excited Adam on Twitter, they flew a whole box of Gaynettos straight to New York, sharing the ice-cream voyage on their Snapchat channel. An awesome PR move and some positive karma for sure.